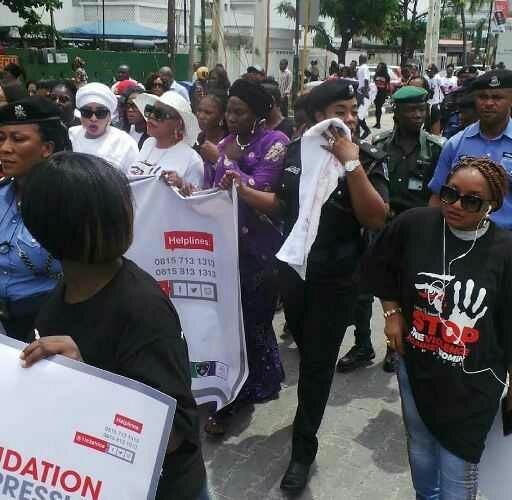 Everywhere I look, is all about campaigns against domestic violence which invariably translates to campaign against men to stop beating up their wives. 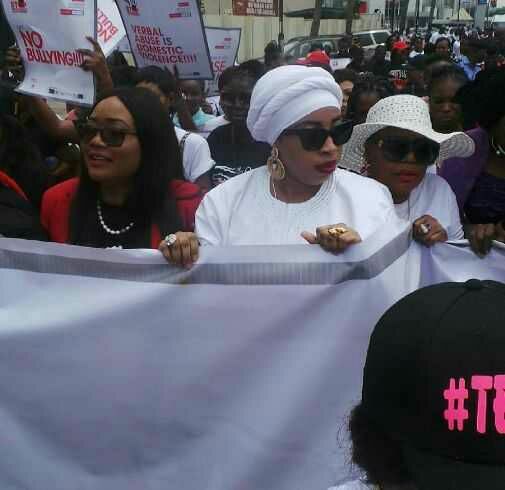 But come to think of it, why aren't men doing campaign against women's stupidity in homes? No matter what anyone may think, men are not stupid and they are not dogs. Something most have happened to send the man or husband off the edge. Why isn't anybody addressing that? 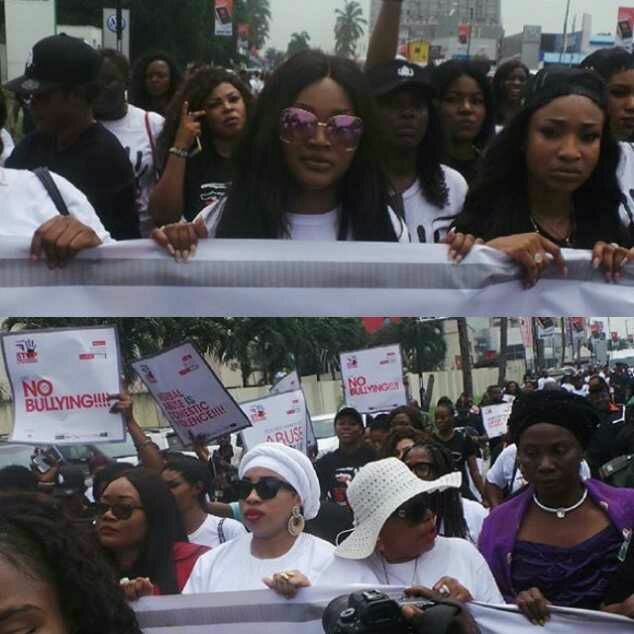 The two Nollywood actress who are involved in this campaign caused what happened to their marriages respectively and they can't come out with a straight face campaigning against domestic violence. 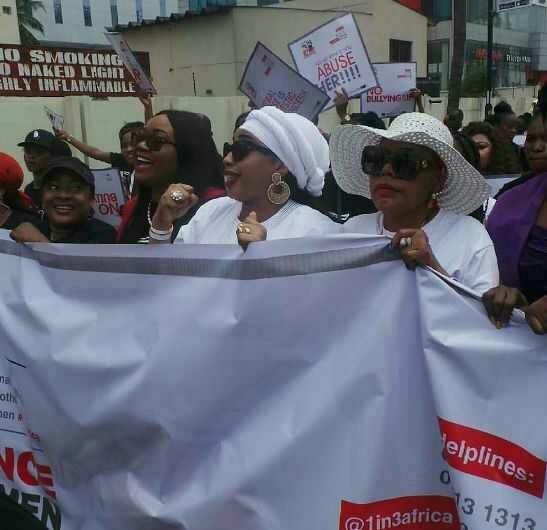 Anyway, founded by Queen Wuraola Ogunwusi of Ile-Ife, the #1in3 Africa Campaign is a call to action to spread awareness to end domestic violence and sexual abuse against women across the continent. 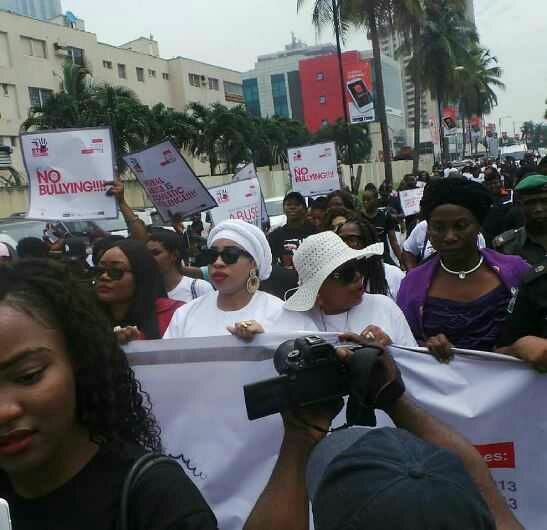 A walk was organized in Lagos today and it started from Awolowo Road by Falomo Roundabout. 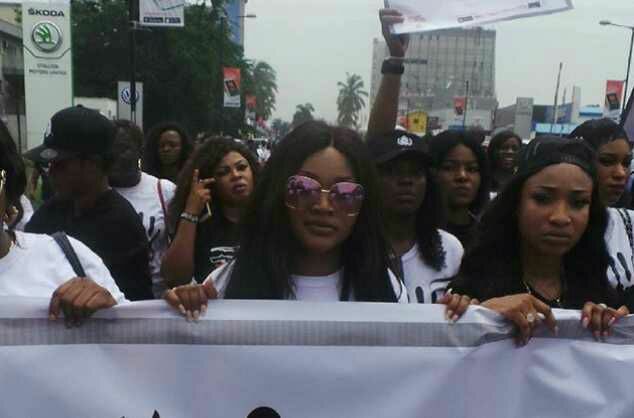 Zonal Police P.R.O, SP Dolapo Badmus, Foluke Daramola and also Domestic violence victims; Tonto Dikeh and Mercy Aigbe were present during the walk.